Rohan Andreyev is the last person Emma expects to meet at an old friend's wedding and it throws her life into disarray. She made someone else a promise many years before; a pact forged for her own protection. She honours it by running from Rohan, just like she did six years earlier. Emma isn't the only one with secrets. Rohan's are far worse. 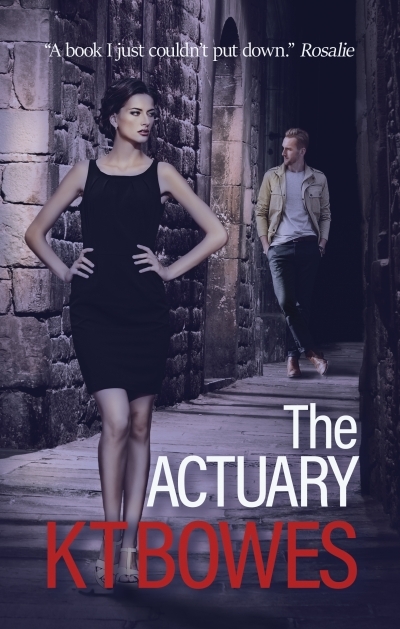 He's The Actuary, a code name for his mercenary dealings in a business underworld few experience. His job is to neutralise risk, whatever that risk might be. He tracks people for a living and Emma's never been hard to find. He just didn't want to look. Now he does. As Emma hides in her ruined rental house on an estate not even the police dare to visit, Rohan will seek her out and deliver the awful news. The help she's waiting for just isn't coming.